2. Officers of the State Legislature Secretariats holding posts comparable to that of Additional Secretary in the Government of India, that is, in Level 15 in the Pay Matrix (Provisional) [HAG scale of Rs.67000-79000 (pre-revised)] OR Officers of these Secretariats who have been approved for eppotntment to the said posts on the said scales by their respective cadre Controlling Authorities. 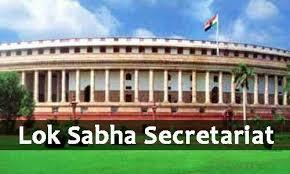 OR Officers of the State Legislature Secretariats holding posts comparable to that of Joint Secretary in the Government of India, that is, in Level 14 in the Pay Matrix (Provisional) [Rs.37400-67000(PB-4) and Grade Pay Rs.I0000 (pre-revised)] with a minimum of five years servces in the grade.